I’ve always been a firm believer in the power and importance of communication. 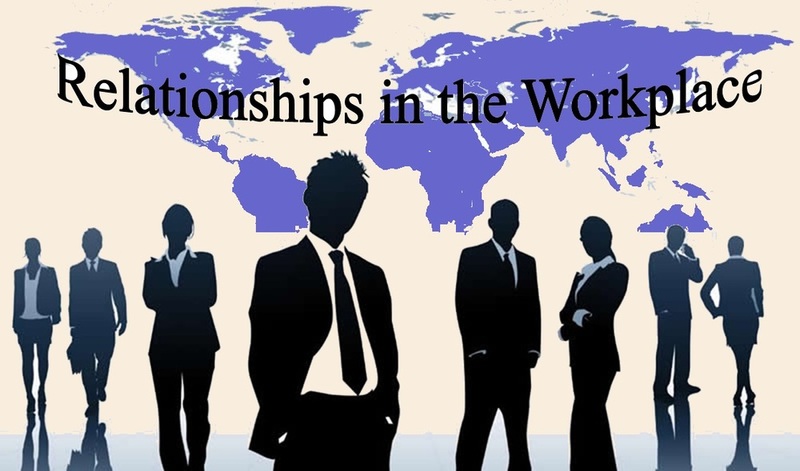 Communication between couples, between friends, between relatives, and between colleagues. I’ve worked at a number of companies, each had it’s own issues, but none was more prevalent than how people communicated with each other. At my previous agency, the order of the day was screaming and yelling at each other – it was normal, I therefore found myself trying to shut out the noise through music on my earphones and twitter. I grew up in a home where screaming and yelling at each other was not acceptable, so whenever my siblings and I did it, we were reprimanded and told to deal with it in a manner that taught us about respecting each other. Communication was an integral part of my upbringing; I had to learn how to deal with it, how to deal with people – and how to deal with people that I wasn’t exactly familiar with. I did, eventually. Black cultures are big on respecting your elders;therefore disrespecting one is seen as something shameful. It means you lack basic home training and are incapable of communicating in an adult manner with an elder. It is the ultimate form of disrespect. Now imagine being a young black person in a company that has over 50 employees, and witnessing day in and day out how the young people in the company would scream and yell at someone old enough to be their mothers. It didn’t sit well with me, and it eventually got too toxic for me to deal with and I eventually left. Upon my resignation, I had a monetary offer made – because the general belief is that when we give a young black person more money they will stay and tolerate such things, but I’d long been taught that my sanity and peace was more important than money. The money will come, but once your peace and sanity are shaken, it’s an exhausting process to get it back. The point of the above story is this: even at work, there are times when people feel that disrespecting someone is important, and when you put them in a situation that results in them choosing to not retaliate, it creates an atmosphere of demotivated staff and unnecessary tension and frustration begins to rise. Unfortunately, there are a lot of managers, who need to work on their people skills, you can be stern and your message can still be heard without you being disrespectful and demotivating your staff. In the last month, I dealt with a situation at work where I felt disrespected, it put me in an uncomfortable position because in the moment, I wanted to retaliate, but I didn’t because one of my colleagues told me not to. How I dealt with that situation was I later spoke to that person away from everyone. It is one thing to be a manager, but it is another thing to be a manager that disrespects their colleagues. Nobody wants to work for someone or with someone that demotivates him or her. All that does is create hatred for going into work and for the work that needs completion. It is important to remember, communication is vital, but HOW you communicate with people is the most important thing. It serves nobody any good to demotivate their staff, maintain the respect in your work relationships as well, by ensuring that nobody feels as though they are unappreciated, or disrespected and watch your business thrive. Use it or don’t use it. The decision is entirely yours.